How Do I Get Bins? Need help with disposing or recycling a particular item? Look no further than our ‘What Do I Do With’ guide for information and locations near you that can assist in the recycling of your unwanted materials. The recycling of automotive waste has grown increasingly important to preserving natural resources and the reduction of landfill usage. Automotive recycling also contributes to the reduction of air and water pollution. Mon. –Fri 8:00a.m – 6:00p.m. Township collections held annually. Check calendar in the spring for collection dates and locations. There are many types of batteries, and it is important to be aware of how to dispose of and recycle each variation. The majority of batteries can be reprocessed, however, not everyone knows the proper methods of doing so. This has created the issue of heavy metal and toxic batteries being tossed into common waste, posing major health and environmental risks. Alkaline batteries are the everyday household battery, as they are found in TV remotes, lights, music devices, digital cameras, and toys, among other common household items. Made of common metals, alkaline batteries are considered non-hazardous waste, and may be discarded into normal waste receptacles. Alkaline batteries only pose a risk when thrown out in large quantities. Dispensing with individual batteries as they deplete is recommended. Heavy metal batteries like lithium, lithium ion, nickel metal hydrate, zinc air, and lead acid batteries should be recycled to reduce health and environmental risks. Nearly all of the elements in heavy metal batteries can be salvaged and re-used. Lead acid batteries can be found in vehicles and machinery and function as sources of energy, which lead the state of Ohio to pass a law making the recycling of lead acid batteries mandatory. Alkaline batteries can be safely disposed of with other household waste. These batteries should not be burned or incinerated due to the risk of explosion. *Visit the Ohio Drop Off website for more details and drop off locations. Electronics make up a great portion of waste in landfills, but there are plenty of locations that gladly accept old to new electronics for recycling. Our facility currently does not accept televisions. eCycle Solutions of Ohio – $10.00 per T.V. Video Game Peripherals-Controllers, memory, power adapters, audio visual cables, etc. For many Household Hazardous Waste Items, you may contact Waste Management’s At Home Service at http://www.wmatyourdoor.com/government/household-materials.aspx or call 800-449-7587 to dispose of your hazardous waste. Materials produced from construction or deconstruction such as concrete, lumber, drywall, plaster, metals, windows, plumbing fixtures, and wiring can be reused and recycled. * Must have tag that shows the coolant has been removed prior to drop-off at the Portage County Recycle Center. Jaco Fridge Recycling- Rebates available for refrigerators, freezers, or air conditioners. Call 877-545-4112 or go to www.jacoinc.net to set up free pick-up. Have to be at least 10 cubic feet in volume to qualify. *May be dropped off at the Portage County Solid Waste Management District Recycling Center during regular business hours or taken to a local scrap metal yard. *Freezers must be tagged with sticker to verify coolant removal prior to drop-off. May be dried out and placed in regular trash. Kitty litter, sand or sawdust may be added to speed up the process. Medication- Disposal Receptacles for unused prescription medications are available at the following police stations in Portage County.  Proper disposal methods are better for the environment and help keep our water sources cleaner. *Note – Receptacles are locked and kept under 24 hour camera surveillance at all times. No Illegal Drugs, Medical Sharps or Over-The-Counter Meds; Prescription Drugs only. *20 lb propane tanks accepted free of charge. Contact Amerigas at the number above for details. *May be dropped off at the Portage County Solid Waste Management District Recycling Center during regular business hours. Jaco Fridge Recycling- Rebates available for refrigerators, freezers, or air conditioners. Call 877-545-4112 or visit www.jacoinc.net to set up free pick-up. *Have to be at least 10 cubic feet in volume to qualify. *May be dropped off at the Portage County Solid Waste Management District Recycling Center during regular business hours or taken to a local scrap yard. *Must be tagged with sticker to verify coolant removal prior to drop-off. *Check the manufacturer label to see recommendations. Most can be mailed back to manufacturer to be recycled. *May be dropped off at the Portage County Recycle Center during business hours or taken to an area scrap yard. *May be dropped off at the Portage County Recycle Center during regular business hours or taken to an area scrap yard. *Accepts mattresses, box springs, beds, furniture and small appliances. Will come pick up larger donations. Call 330-297-7027 to arrange. *If in working condition, can be donated to area schools or music store. *Instruments NOT in working condition can be dropped off at the Portage County Recycle Center during regularbusiness hours or can be taken to a local scrap yard. Contaminated by grease and food residue. Throw away with weekly trash. *Items in good condition can be donated to local thrift stores. Items in poor/damaged condition can be brought to the Portage County Recycle Center 24 hour drop-off area. Plastic Play Sets- Items in good condition can be donated to local thrift stores. Items in poor/damaged condition can be brought to the Portage County Recycle Center 24 hour drop-off area. May be dropped off at the Portage County Recycle Center during regular business hours.  Washers/Dryers- May be dropped off at the Portage County Recycle Center during regular business hours. #1-7 plastics can be recycled with our curbside recycling program. *24 hour drop off at any of the Portage County Drop-Off locations. Ordinary items such as soda cans, aluminum foil, and coat hangers are made of metal, but not all metal items are accepted by our curbside collection. Scrap-yards accept most common metals like copper, aluminum, brass, iron, wires, and copper, and they may even pay for certain metals you bring. Items made of metal may be dropped off at the Portage County Solid Waste Management Recycle Center during regular business hours or taken to a local scrap metal yard. The following locations will accept clean yard waste (leaves, grass, small shrubs and limbs). *Locations accepting Christmas trees require all lights, ornaments and tinsel/garland be removed. Cuyahoga Landfill Inc. accepts: Clean yard waste NO dirt, tires or trash. Call ahead for hours and fees. Earth-n-Wood Products Inc- Accepts clean yard waste, logs, stumps and Xmas trees. They will accept for a fee: construction demolition materials and excavated concrete. *Call ahead for hours and fees. *Brimfield Aggregate- Accepts clean yard waste, shrubs, logs, wood chips, limbs and Xmas trees. *Sagamore Soils accept: Clean yard waste, limbs and Xmas trees. NO dirt, tires or trash. Seasonal leaf and brush pick up. No drop off available. Seasonal leaf and brush pick up. Kent City residents can drop off clean yard waste at the City composting facility. NO logs, landscape timbers, stumps, root balls, tires or trash. Drop off available to Kent City residents. Call for hours and other information. Seasonal leaf and brush pick up. Seasonal leaf & brush pick up. Call for drop off information. Seasonal leaf pick up only. *Accepts mattresses, box springs, beds, furniture, and small appliances in working condition, etc.for donation. *Pick-ups available for larger donations. Call 330-297-7027 to arrange. T & A Pallets, Inc.
What day is my pick-up? Where do I get bins? What is the holiday schedule?